December 2017-June 2018. Multiple fake and highly suspicious positive reviews have been submitted for 365Markets. Don't invest .unless you want to lose all your money proper scammers once you invest.that's the last you will see of your money these so called traders have been scamming people for years . Having made a $250 investment last year and unsuccessfully tried to get refunded I was contacted by a Daniel on 20/2/19 requesting upgrade and more funds to play with. Having further investigated and read comments I realized this is a total SCAM.He did as promised call me back 2 days later and I asked him how he felt before going to sleep in the knowledge he had financially ruing so many people. His anger manifested with a few F words and I reciprocated. Thanks to all contributors her for you words of caution...could have been a lot worse! I had the exact same bad experience as with the reviewers above, In one day I got 5 emails asking and pressing me to urgently deposit my money. SOmething felt wrong they worded the email 'URGENT' what is urgent about me depositing my deposit unless it's a scam. I called my bank they said the money has not left yet as my account is not verified ...I will cancel and hopefully get the money back in time. When I deposited the money I had a super unprofessional email from a guy saying nothing in the email but ' So, you want to make money'..
that woke me up and realised something very unprofessional is going on here, no professional account manager will address their client for the first time with that sort of language. The head quarters is +3 dialling code in israel - again dodgy. Please Please Do Not use 365 Markets for any form of trading, they are scammers, they will constantly call you to deposit more and more money it to your account. You have to trade with your funds and turn it over up to 50 times or you will not be able to with draw it. There trading platform is terrible, there is next to NO support. I have been contacted every day from 5 different junier traders from 365 Markets almost demanding i deposit more and more funds to the account. They will add funds to your account for you to trade with, but what they do not tell you is that you will NEVER receive any funds back from the account because you have to trade with those funds as well as your own funds for 50 times. I am sure if you ever manage to speak to any one on the phone they do NOT even use the own names, i have spoken to the same person over 3 months and he has used a different name every time. My best advice, NO NOT USE 365 Markets for trading. I am also sure that 365 markets sets you up with a rouge trading platform, the funds you deposit they use them self to trade with, if you are able to work out there EVERY basic trading platform and are able to win a trade or two you still will not be able to with draw any funds. 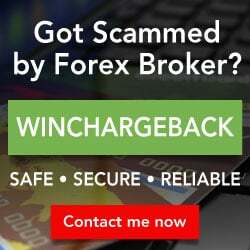 They will set you up to loose any funds you deposit, trade with your balance with out your consent or even you knowing about it as they set you up with a fake trading account. I have been set up with 3 different platforms from 365 markets and every time they change the platform you will loose all the trading info, ie your past trading history info. I have even had a 365 market Trader on the phone requesting me to add more funds, i refused to add any more funds even though my account was in credit they changed my pass word so that i was unable to log in, i had several live trades open at that time that were doing really well. My Advice DO NOT USE 365 Markets as a trading platform. This is not a false rating its what they did to me they maxed out my credit card without my ok.
Update: Unreliable Company!! Trade at your own risk!! No call from their so-call finance since 30th May. Last email reply from the support team on 13th July. After that, nothing. The support team is irresponsible and only perform lip service. Shame to Lea, Nick and Evelyn. These people at 365markets.com only waste customer time. Aug 2, 2018 - 1 Star It is August 2018 and today is the 47th business working day since my withdrawal request was approved. No one from Finance department called and all my emails were ignored or there are no replies from them regarding my withdrawal. Just moments ago, jack from 365markets called me. However he does not want to address my issue nor update me of my withdrawal request. Instead he tried ways and means to make me place bets again. Super hard selling but I just replied NO. He kept asking why and my every reply to him was when can I get my money. Eventually he just said bye after running out of patience. I am not angry or frustrated now. I just felt appalled that these people can still act this way despite some customers already knew they are just scammers with no trustworthiness or integrity. I felt sorry and sad for these people who does not feel a twinge of shame from their actions. By the way, you will see that these people will reply most emails as a representative. These replies are all lip service. These emails are to create a false sense of truth that there are actions from their side but in fact there’s none. I just hope people are not so gullible to believe what they see. Anyway, let’s continue to post more true accounts and warn other people. Jul 20, 2018 - 1 Star It has been more than 30 days since my application to close the account and withdrawal of my funds are approved by 365markets. I have been sending countless reminder emails and every reply is to wait for the call from their finance department. Up till today, there is no call which i felt they are just ignoring any requests of withdrawal. There is no integrity or trustworthiness in their words or dealings. If anyone want to invest, my advice is not to have any dealings with this company. Jul 1, 2018 - 1 Star Be careful. Think twice if you are thinking of making a deposit. You may not get ANY money back. Finance department: 1) Does not exist. Even though I am not optimistic of getting back my money, I am still sending reminder emails to them. Another action that I strongly recommend everybody to do is to provide more reviews on social media especially in countries like the UK, Australia, New Zealand and Canada. These are the countries which generally generate constant revenue for these websites. I signed up and made the deposit of $250. Looking to add an additional income to supplement my otherwise hard working life. Received a call from a Jack Richard who dialed into my laptop and quickly ran over the look of the platform and made some comments on numbers, etc. Within 5 minutes he wanted me to open my internet banking to link payments, this all the while with him looking at my screen. feeling its not right I told him I am not willing to share banking details with him. He responded that it is no problem and then opened the deposit page on the webpage and started typing in an amount of $2500 to be deposited. He then said okay I must now deposit that amount. I requested that I would like to trade with the initial money first, get the return of the investment and then grow the portfolio. To this he replied that in that case he cannot help me, I am wasting his time if I dont deposit more money and I will not be assisted if I do not put in more money. This after a 5 minute tutorial meaning nothing. I insisted that he trade with the initial deposit to which he got agitated continuously saying that I am not serious and wasting his time and dropped the call. So at this moment I do not know if I will get the money back or not, since obviously there is no customer service. I do not know how people like Jack Richard and the rest of the 365markets team sleep at night knowing they are criminals. I wish some authority will step in and close them down. It will be a great day for society. I have had a very bad experience with 365 markets . They pushed me to deposit more money after I deposited the 250 dollars. I deposited another 1000 dollars because I thought I would generate some money since iam a stay at home home and my husband has no job. I even explained to the so called account manager my problem. To cut the story short iam waiting for my withdrawal of 1029.44 euros and that have refused to release it. Ian travelling soon and I need this money. I can never recommend anyone to trade with them. After numerous difficulties trying to arrange the withdrawal of my funds, I was finally advised in an email that my request had been passed to the finance division. Seventeen days later I am still waiting to see the refund. I am seeking legal advice. It will be highly appreciated if you provide us with your customer ID/ Account number so that we can looker deeper into this matter and resolve this situation as soon as possible. The customer service were polite and helpful, perfectly happy with their advice. I was having minor issue login into my account, but the account manager helped me to start. After several trials , i had been able to use the demo trial trading. It was easy to proceed after that. This is another review created by the same person or group which already spamvertised the FPA's forums and reviews for 365markets. Per FPA policy, the rating of this review has been set to Zero stars. The FPA does not appreciate spamvertisers. I requested my withdrawal, its been already more than two months. I received several emails from the customer support. they had so many technical issues. But i want to let you that my got my money back. They charged me a witdrawal fee. I am satisfied that i got my money. It was a bit late, but its ok now. The customer service was telling me that there are many people on the list before me, thats why i needed to wait for my turn. This review came from the same IP address used by the representative for 365markets. I want to invest more on this platform. I read about the profits. I calculated the profits which I will get with $250. Now I want to invest more to get more profits. Am I rushing or should I wait some more time? I am a little bit confused. This is from another account created by the same person or group which already spamvertised the FPA's forums and reviews for 365markets. Easy platform to trade. I must say that they are very good in convincing people. A guy name Jake called me. I don;t remember when i registered an acct, but i know I was reading on trading. I invested for the second time. Thay guy was insisting too much, but had a powerful voice and argments. For the first time, i got ditched for my withdrawal with 24Option. I didnt trust trading anymore. But its already been 8 months now. I said why not a second time, i try my luck. I invested $500. Now I shall see what happens. 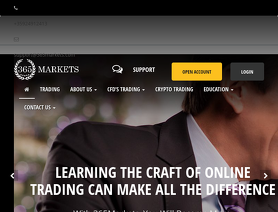 I noticed that many of us has good reviews with 365markets.com. Let's hope I get the best from this compamny. cross-fingers I will keep reading other reviews. This is another created by the same person or group which already spamvertised the FPA's forums and reviews for 365markets. They are either scammers, running a ponzi scheme or the worst company/people you will ever deal with. 6. Now the best bit, after letting you deposit the first time and making a withdrawal, you then have to send copies of your passport etc, which is the norm in any regulated company, however try making another withdrawal!!!!! The next withdrawal took a month, despite them pointing out hidden on their website it states withdrawal will take 9 days to process. My second withdrawal request has already been a month, and I reveive an email saying it can not be processed until the 1st of April because of the volatile markets, what that has to do with my withdrawal especially as I have no open trades I have no idea, and funnily enough, the have refused to answer my email as to why. So it begs the question, are they running a fraudulent ponzi scheme, just stealing money, or just the worst trading company out there, you decide. The content of your comment has well been taken into account. First and foremost, we apologize for the inconvenience that was caused during the process of your withdrawal. As it was mentioned to you and all the other clients, all withdrawal requests were left pending during the last week of March 2018 not only due to volatile markets but also due to undisclosed reasons. However, our customer support team did the needful to inform clients who had open withdrawal requests regarding this matter. Your complaints regarding the customer service is comprehensible. Nevertheless, they receive hundreds of calls on a daily basis which automatically limits the numbers of call being answered straightaway, hence resulting to some of the calls being put on hold. If your withdrawal has not been approved yet, it will be greatly appreciated if you can kindly provide a real name or your account number so that this matter can be reviewed as soon as possible. I had bad experience with this company, I recommend no one to use this website, I payed 8000$ to buy bitcoins, when I tried to get them back after few months, the process still pending since 19 February , when I tried to call the support; at first they told me that I have to wait, and now no one answer the phone or the email. I had actually paused with trading after a bad experience 1 year ago. After reading those scam websites on Forexpeace, I didnt want to trade at all. Then, one day my wife told me that a pop up add on 365markets apperared on her screen and that we should try. At first I refused, still scared of my bad experience. I only registered at the website and 2 days after, i received a call from someone called Jenifer. Introducing me to their website, suggesting me the minimum investment at 250dollars. I tried my luck. I wanted my bonus on a monthly period. Since then my experience has been good. I liked the 365markets platform. Yeah, also one day i emailed them to ask if i could change my monthly profits which was a long term trading. The support group replied me within 2 days. I'm still thinking to change it to daily profits which is basically short term trading. Let's see how long this can keep me happy. This is another forums account created by the same person or group which already spamvertised the FPA's forums and reviews for 365markets. Hey guys, have you heard of this brand www.365Markets.com? I have been trading with them with an account there 2003521. I was supposed to earn my profits this month. They delayed 48 hours. I had emailed the support team and I received a call from someone Leo (as my name). He explained the long procedures to me. For a while, I thought it was a way for consoling and scamming my money. But I waited and eventually received the money. So, I guess the procedures take time. I like their attitudes and calmness when I was hyper angry. Is this ok?? Why it did took an extra day from them???? can trust them??" "Hey Mary, I have also an account on 365markets 200852. I have been trading with them for couple of months. Sometimes, you get the money on time or other times delays up to 2 days. So, i think its normal. The procedures may vary. I had also emailed the support team and received a call from someone called Amy. She was responsive and explained the procedures to me. For a while, I thought it was a way to console me or whatever. But, eventually I received the money in the delay she told me. I just hope you get an official representative to answer your delay." Your account number seems subject to change. The rep who you claim contacted you changed name and gender. This was suspicious, so we did some checking. You, Mary, and over a dozen other accounts seem to belong to the same group as "Jenny Brun". The Jenny account claimed to be "An official 365Markets representative". The FPA does not appreciate multies.